The Loneliness of the Trail | ardently aimless. Hiker Trash at the Cache Bash. People asked me a lot of questions about the trail prior to leaving: Where is it? Why would you do that? Are you taking a gun? What are you doing about bears? What will you eat? Where will you go to the bathroom? How badly do you think you’ll smell? (The answer to that is very, very badly, by the way) But hands down the most recurrent question was how I was going to cope with the loneliness. I think people imagined me wandering alone in the woods for 5 months. Having just come off a stint of working 50-70 hour weeks bartending I was actually looking forward to a little alone time, and I figured I could avoid the throngs of hikers if I really wanted to. That was incorrect. 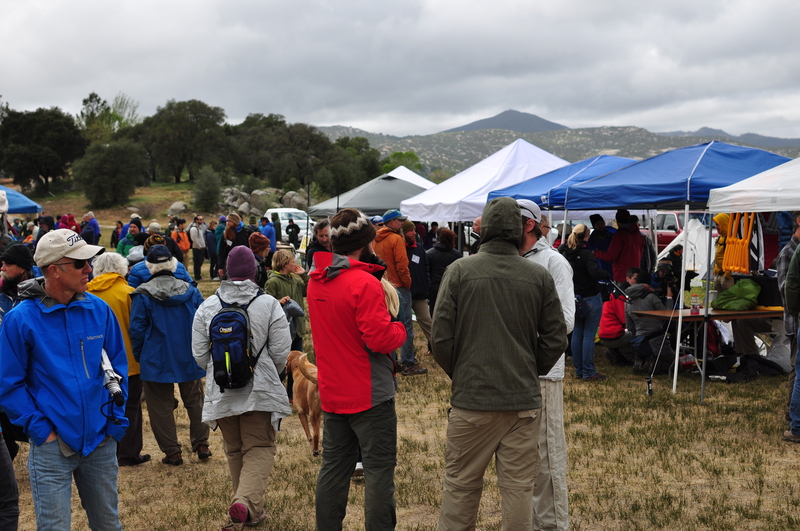 Starting out at the Lake Morena Campground for the Annual Day Zero PCT Kick-Off party (or slightly more simply, the ADZPCTKO) there were hundreds of people. 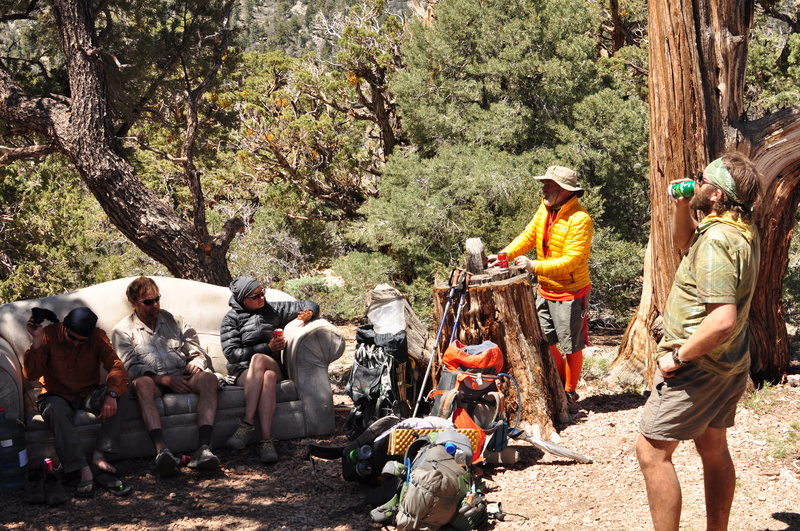 I was hanging out with a group of 2013 thru-hikers (two of which had driven me in from San Diego. Thanks Rocky and T-Rex!) who were the perfect people to be around: low-key, experienced, inclusive, but respectful of my privacy. They asked me lots of questions about myself and my preparedness and had tons of great advice for the trip north, but weren’t overbearing and never said “This is what you should do.” They casually offered suggestions and did their best to include me in their close-knit group as they reunited here at kick-off and reminisced over beers. Meanwhile in the surrounding campsites, more boisterous parties surged and fizzled around us on all sides as gallons of PBR and micro-brew spilled down the gullets of the other thru-hikers and hiker groupies, and clouds of pot smoke wafted by at regular intervals. It was an amusing spectacle to behold, but I was ready to get my nature on. All these people were wandering in circles looking for the trailhead. So, setting off from the campground for my ill-fated first day with a full pack (read my post All Hope is Lost), I was ecstatic to be facing a full day of solitude to decompress after the hectic months of work, trek preparations, social obligations and, of course, the party I had just left. I crossed paths with a few hikers that day, exchanging hellos and well wishes for the day, but I managed to spend the day mostly solo. 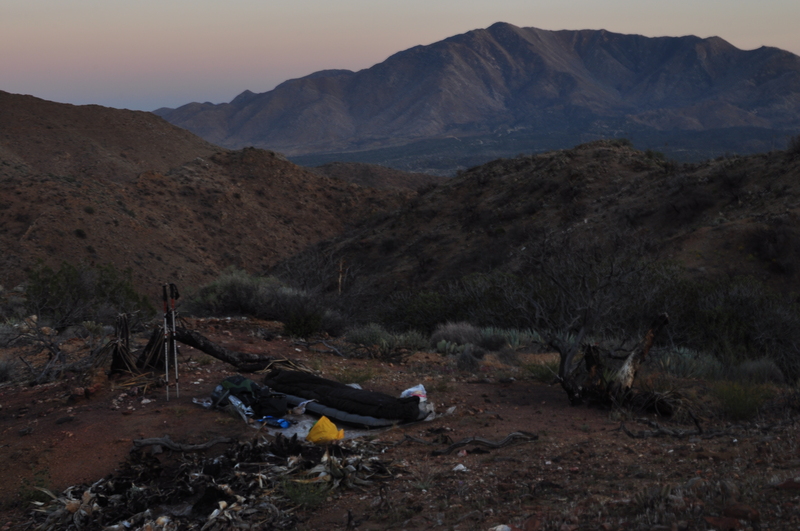 When I got to the campground outside Mount Laguna, however, I learned campsites were $22!! So I caved on my steadfast solitariness and weaseled an invite to camp with some other hikers. They were not too interested in my story, so I scraped by with a little small talk before turning in. The next day I was almost as successful at avoiding people. After getting my pack weight under control in town I headed off on my own yet again. I chit-chatted with a few people along the way, but stuck to my guns and avoided hiking with anyone for more than a few minutes. After seventeen miles I decided to call it a night. 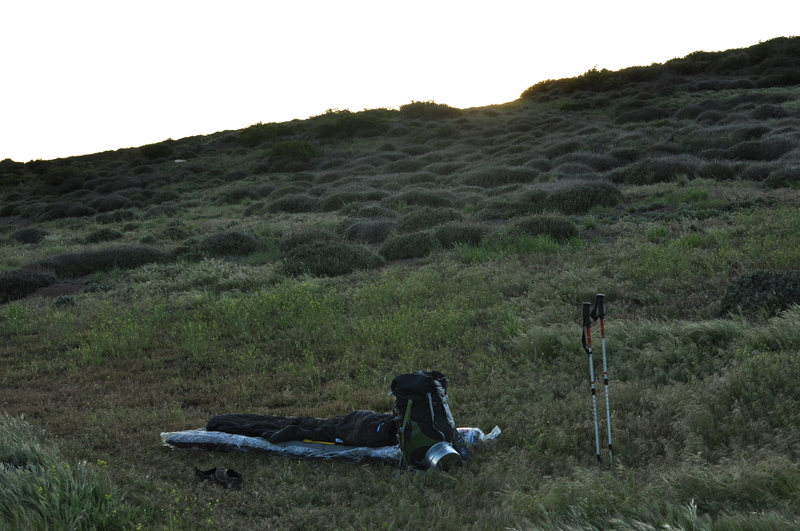 I found a nice secluded spot in a field, dropped my pack and set up to cowboy camp for the second night in a row. After a quick dinner I laid down, staring up as the first stars creeped into the blanket of the cosmos. Was I lonely? Absolutely not. It was goddamned magical. The following day, shortly after breaking camp, I came across a couple of guys, John and “Babymaker” (joined shortly afterwards by “Steeltoe”). They were moving at a good pace, and despite having caught up to them, I decided not to pass but rather to adopt their pace and chat for a bit. We smashed out seventeen miles by midday to reach Scissors Crossing, a crossroads situated in a dry, sandy valley about 13 miles from Julian. John and Steeltoe went off to hitch to a nearby campground, and Babymaker and I stayed under the bridge where there was shade and a water cache to wait out the heat of the late afternoon. That day at Scissors Crossing was my first of many “water resource” gatherings that would be a recurrent event for almost every spring, creek, cache, or -worst case scenario- trough on the trail: all those interesting characters the trail has attracted piling up at the precious watering hole sharing stories about dodged rattlesnakes, exorbitant pack weights, strange and/or wonderful things found in hiker boxes, mileage done, blisters accumulated, and intended campsites for the day. 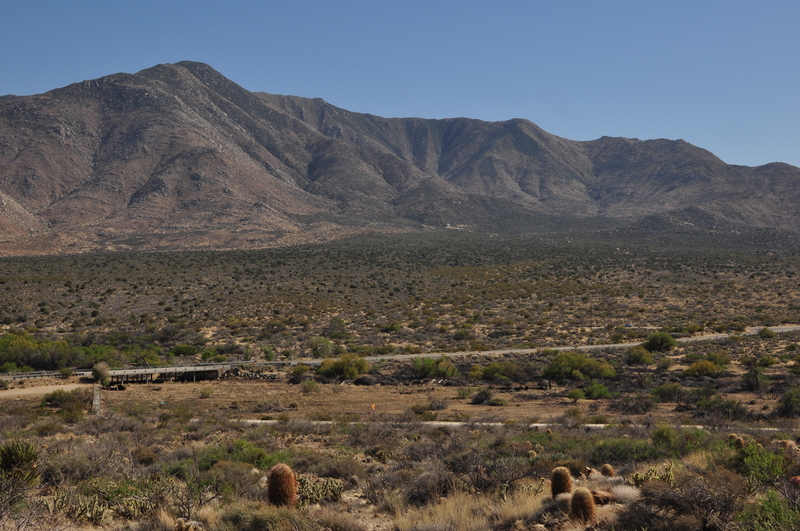 One hiker called it a carnival, but I have my own name for these fiestas: the cache bash. This particular group featured some soon-to-be familiar faces, like “Stubing,” “Cheeseburger,” and “Pockets.” Others came and went quickly, grabbing water and heading up the mountain, forever to outpace me. The rest would fall behind taking the leisurely approach, hitching to towns like Julian for free pie and sandwiches (a perk of holding a thru-hiker permit) and maybe a zero or two. As tempting as that sounded, I wasn’t yet ready for civilization or a day off the trail. So I kicked off my shoes, peeled off my socks, and got cozy under the bridge for an hour to let the sun do its thing and work its way closer to the western horizon. But, being a restless soul I can’t sit still for too long, so after my short respite I hopped back to it. I filled my water bladder, made some Crystal (Light, with caffeine;) bid my compatriots a farewell and started the long slog up the mountains looming to the North. The slog up the hill at 4pm was a sweaty one, but I was determined to make camp no earlier than milepoint 86, and having waited for the sun to ease off that also meant I was approaching the hour of its setting. So I hustled. Around 7:30 I started seeing people setting up camp in any flat space available, which was at a premium. At least a dozen of us were arriving at milepoint 86 around the same time, anxious to find a place to lay down for the night. I was still enjoying my relative solitude and not looking to share a site, so my options were more limited and narrowing by the minute. I managed to snag a spot on a little outcropping with a stunning view across the valley to the mountains I had descended earlier that same day. After some minor excavation work, the campsite became habitable. 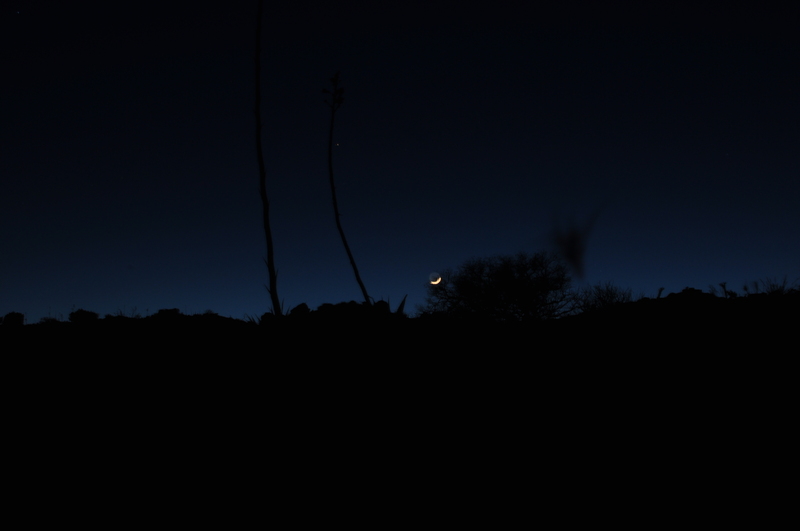 Firing up the stove and making camp quickly, I ate dinner in silence as I watched the mountains change colors, then slipped into my sleeping bag as the desert chill descended and the crescent moon rose over the darkened horizon. The following morning I was up before sunrise and packed quickly so I could beat my neighbors onto the trailand hike in silence for a bit. Less than 2 miles up, however, I ran into Stubing who I’d been leap-frogging since mile 1. Having chatted with him briefly before my curiosity was piqued about his many previous lives, so we ended up chatting for a few hours as we made our way to the Third Gate water cache, the first water source in 14 miles of steep desert terrain. We covered the 5 miles quickly and took our 2 liter allotment there. Stubing decided to siesta and have lunch, but I, not satisfied with the 2 liters we were allowed, pressed on in search of more water. Stubing the Benevolent doling out water. On day five I stopped at a small tree-lined stream where a cache bash was in full swing. I dropped my pack, zipped up my fly (which was open for ventilation purposes), and launched straight into bantering with the other hiker trash that had accummulated there. After an hour or so I was ready to move on and a couple of guys, Ross and “O.G.,” didn’t get enough harrassment from me, so they suggested we hike together. Taking them up on their offer we wandered out into the heat of midday to chip away at the remaining 2550 miles. Not 10 miles later we had Lost Valley Spring to draw from, and there we came upon Heather reading quietly in the shade. Leaving the spring at about the same time she kept pace with us as we made our way to a campsite marked on the map amidst a boulder field near Mile 124. Upon arriving, this supposed campsite didn’t reveal itself and we had passed up a perfectly good spot that would have accommodated all of us if we cowboy camped. The herd was right behind us, so in order not to lose the space to others I picked up my trekking poles, grabbed my pack straps and ran back to claim it. I arrived moments before others came around the bend and attached my headlamp to a rock and set it flashing to serve as beacon for the other three. They trudged up a minute later and dropped their packs with a sigh of relief. It was then that Heather bestowed upon me my trailname. And for the last 330 miles I have announced myself as Lighthouse. Over the miles Ross has become Puddin’, Heather has gone through a series of names, finally deciding on Mung (but I still call her Hocus Pocus), and as a group we dubbed ourselves Team Siesta. The Team has swelled and shrunk a few times with additions both temporary and more permanent; my friend Caroline joined us in Big Bear, and “Indie” who I had left Warner Springs with weeks prior joined up with us a couple of days later. But alas!, nothing gold can stay. Our paces and priorities have not been aligning, and while Caroline and I zero at the home of Trail Angels Jeff and Donna Saufley (also known as Hiker Heaven, and for good reason), the rest of Team Siesta, O.G., Puddin’, Hocus Pocus and Indie have moved north into the Mojave. We all hope to meet up again in the weeks ahead, but this is part of the game. And there are hundreds of others I’ve yet to meet within a couple days’ walk in either direction, and many new Teams that could form. I could also do with a few more days of solitude. But true loneliness on the PCT? That could only truly exist in the mind. Team Siesta doing what they do best.